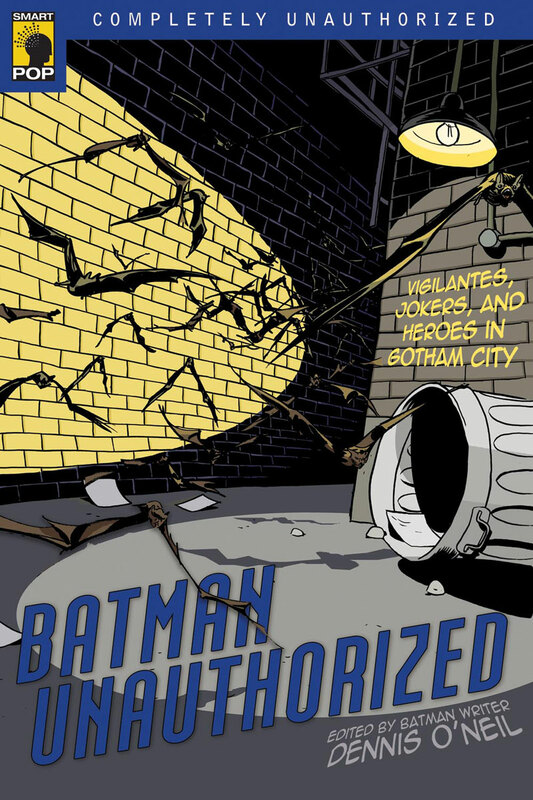 Batman Unauthorized explores Batman’s motivations and actions, as well as those of his foes. Batman is a creature of the night, more about vengeance than justice, more plagued by doubts than full of self-assurance, and more darkness than light. He has no superpowers, just skill, drive and a really well-made suit. One of the most recognized superheroes ever created, Batman has survived through campy TV shows and films, through actors such as Adam West, Michael Keaton and Christian Bale. Batman Unauthorized: Vigilantes, Jokers, and Heroes in Gotham City covers expansive territory ranging from the silly to the solemn. Why is the Joker so good at pushing Batman’s buttons? What does Batman’s technology say about the times? Why are Batman’s villains crazier than average? And why is Batman the perfect, iconic American hero? Dennis O’Neil is a former comic book writer and editor for Marvel Comics and DC Comics; wrote the novelization for the film “Batman Begins”; and is the author of Batman: Shaman and Batman Sword of Azrael. He wrote the main Batman title in the 1970s and 1980s and is the former group editor for the Batman family of books. He lives in Nyack, N.Y.